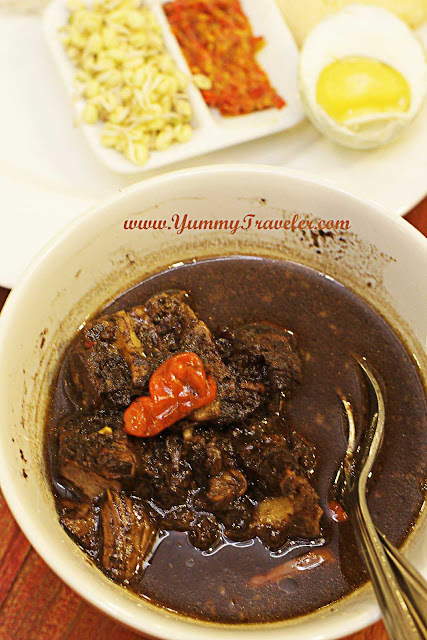 Traveling around Indonesia and tasting all the food are already on my bucket-list. We have too many kinds of food and culture and landscapes that even you spend the whole month traveling around Indonesia, it will never be enough. I have a friend from Finland who plan to travel around Indonesia for 3 months, then he ended up living here for 1 year! Haha....see? Never seems enough to explore this whole country! Didn't have enough time, imprisoned in your work cubical, or... simply didn't have the budget to travel more. You're not alone. Or maybe you are from another city and have to work in Jakarta, and sometimes you missed a lil' bit of 'home' and craving some of the food there. Ow yeah.... some of us would definitely feel that, but hey.. worry no more! Because now, there's a ONE place to satisfied all your cravings and fill up your tummy, yes it's Dapuraya! Located in legendary Pasaraya Blok M Mall, this new concept of presenting Indonesian food from Sumatra to Papua just recently open! With more than 50 food vendors & a 'tempo doeloe' ( vintage ) atmosphere, definitely one comfortable option to enjoy street food. 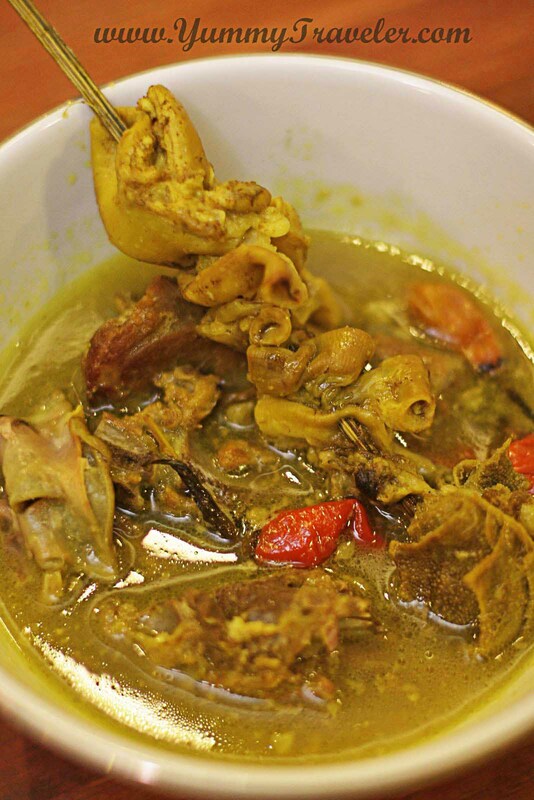 One of the mission of Dapuraya is to made Indonesian food more recognizable by the public, so from 23 - 31 January 2013, they held "Festival Makanan Enak- Enak" that specially invite food vendors from Bogor, Bandung, Yogyakarta, Semarang, Surabaya dan Solo. So here is some of the food that I've try with some of my food bloggers friends. 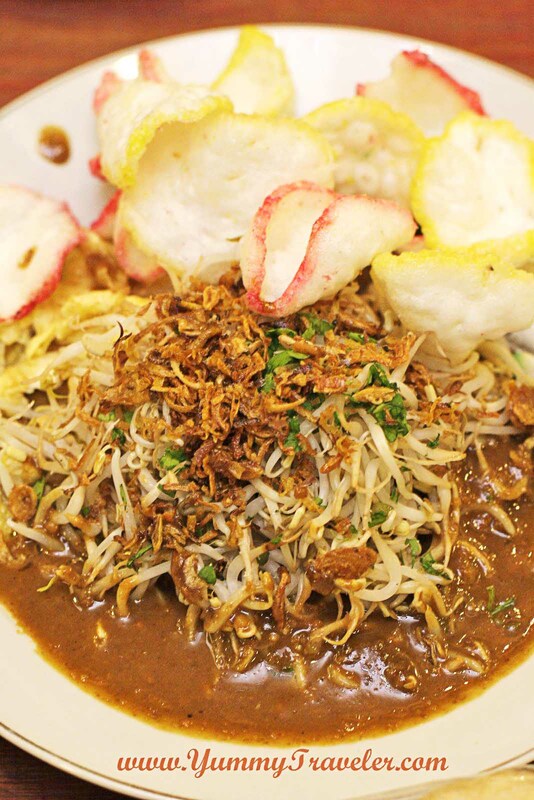 Laksa Bogor Kampung Cingcaw ( Jl. Ranggagading, Kampus Kesatuan, Bogor ). 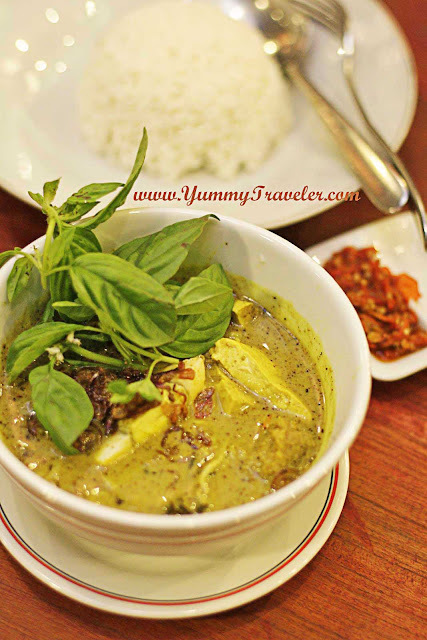 The coconut turmeric soup tasted savory and slightly sweet. 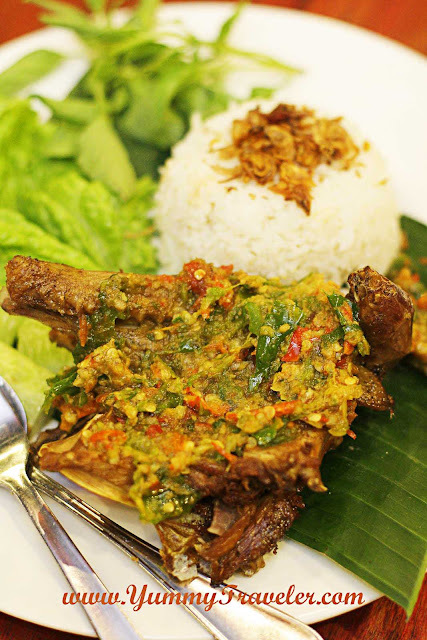 Burung Dara Goreng SBTB ( Jl. A. Yani No 76, Yogyakarta ). 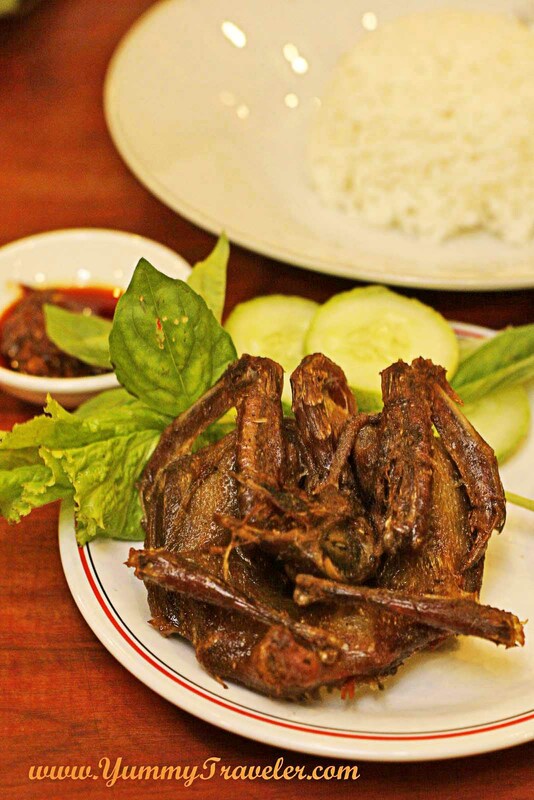 This fried dove tasted more like fried duck, but the spicy sambal is very yummy! Tengkleng Solo ( Solo ). A feast for innards-lovers! 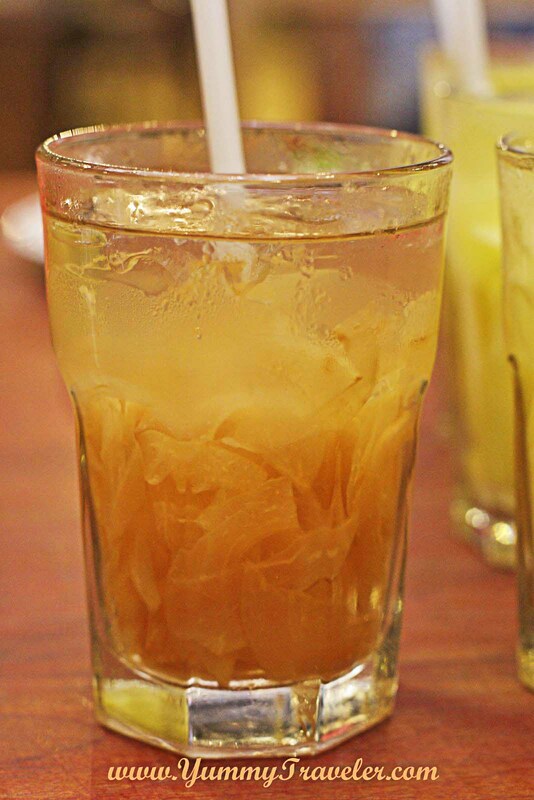 Loempia Mataram ( Jl. Mataram, Semarang ). Too bad this wasn't fresh enough. The bamboo sprouts tasted very unpleasant. Es Mangga dan Pala Aming ( Jl. Suryakencana, Bogor ). 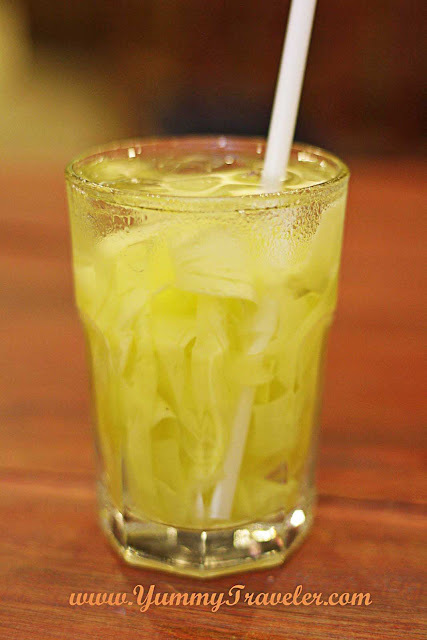 Always love this Es Mangga! Tahu Petis Prasojo Semarang ( Area jajanan simpang lima, Semarang). 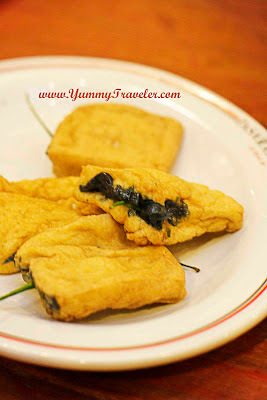 Too bad the Petis ( sweet prawn paste ) was too mild. 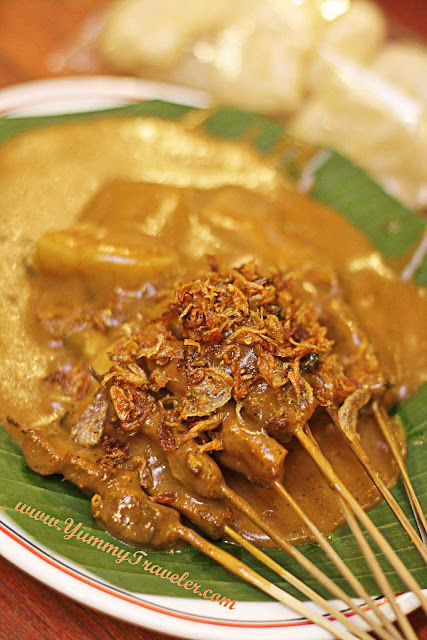 From the other food stall in Dapuraya, we tasted Sate Padang Ajo Ramon. The yellow spicy sauce was very enjoyable. 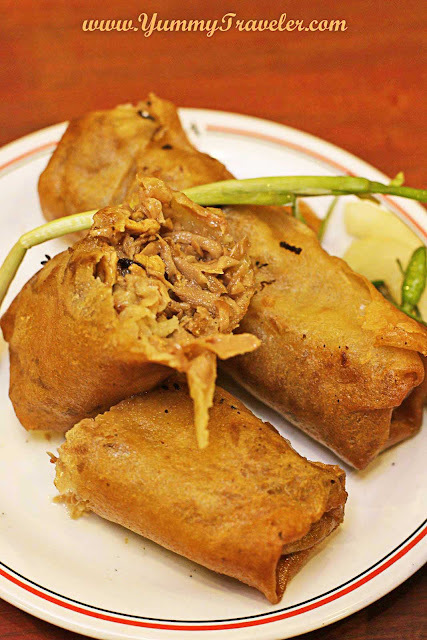 Tahu Tek-Tek. Love the peanuts sauce. Not only Indonesian food, in Dapuraya also offers Korean, Japanese, Philippines, German and Western Food. For the dessert we also tried Bungeoppang. 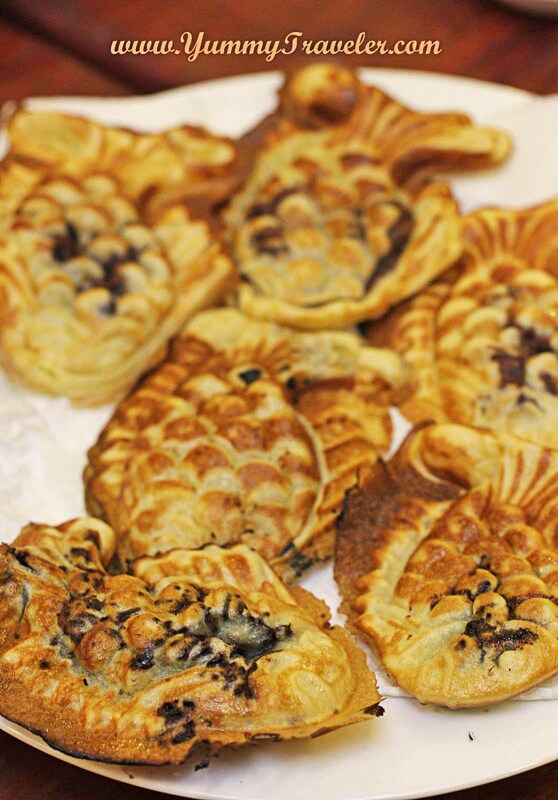 This Korean pancake fills with red beans or chocolate. Itu ada satu foto yg ukurannya lain sendiri kenapa yak?